The development of the microphone and telephone is closely connected. And just like nowadays you can find different types and brands of phones, the microphone hasn?t stopped evolving either. That?s why, today, they are used in nearly all areas of event design. Live-performances are at the heart of the microphone industry. It is during concerts and stage shows in particular that microphones have to deliver a powerful and unadulterated sound. 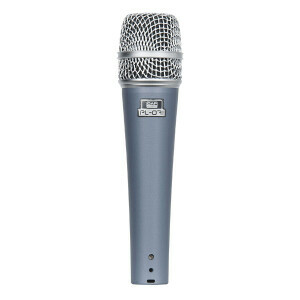 Mics for vocalists are split into two different categories, the dynamic and condenser microphones. The former are less prone to pick up handling noises and are more robust in general. The condenser microphone on the other hand offers better sound, thanks to its higher quality of production. In order to give a presenter, singer or musical actor as much freedom to move as possible, headsets and lapel microphones have been developed. Their small size and low weight gives them the advantage of being nearly invisible and they are easy to integrate into one?s outfit or costume. Their sound quality, in addition, is just as good as that of handheld microphones. Instruments however have a wide range of sound characters. 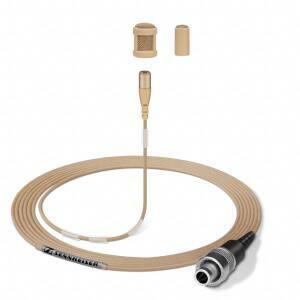 Therefore you cannot simply use the aforementioned types of microphones and should invest in instrument microphones. Something you are sure not to regret. Depending on the type of instrument, some are fastened to its body itself or placed somewhere close to it. Drums especially need, in line with their separate parts (bass drum, snares or toms), various types of microphones. Last but not least, we also offer any additional equipment you might need. Stands and holders for example provide easier handling of the microphones. To achieve excellent sound even during outdoor shots you should use a windshield. Slip it over the microphone?s head and you?re ready to go!